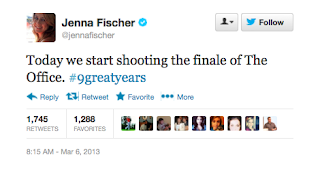 The Office is starting the shoot of the series finale today according to a tweet posted by series star Jenna Fischer (aka Pam Halpert). 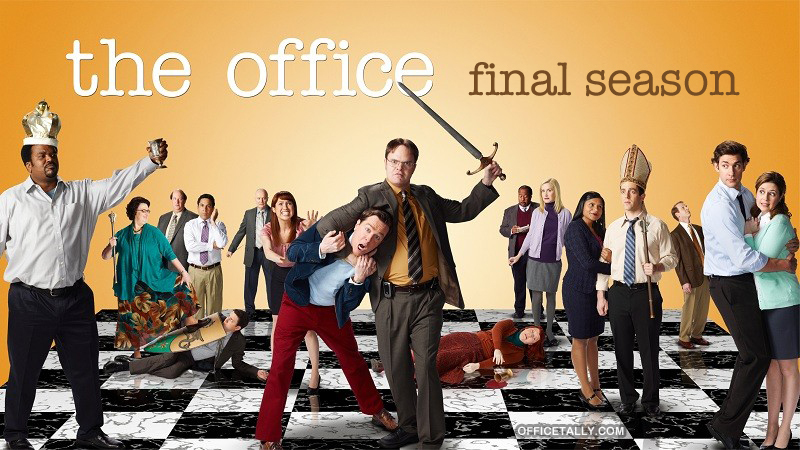 I have been pretty detached from the show for the past couple of seasons, but I am so excited about the series finale. 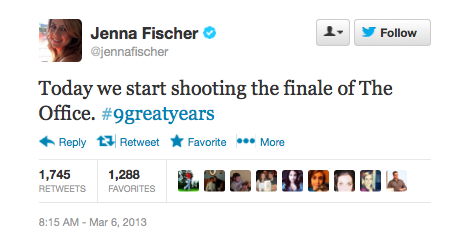 I am hoping that it will have something to do with the filming of the documentary. This season we have seen a lot of references to the cameras and the documentary that they have been filming for 9 years. Pam talked to one of the camera men and outside of the office people have asked about the cameras. That never really happened before. I hope the finale does the show justice. Something needs to make up for the past couple of blah seasons. Let them go out right.